Keith joined STORM Therapeutics as CEO in January 2017. Prior to STORM (from 2007), Keith was Chief Executive of Cancer Research Technology Ltd (CRT), the commercial arm of Cancer Research UK (CRUK), where he drove the development of CRT to become a global leader in the commercialisation of cancer discoveries. He was instrumental in the launch of the £70m Cancer Research Technology Pioneer Fund in partnership with the European Investment Fund (EIF) and BACIT, developed risk sharing drug discovery alliances with AstraZeneca, Teva (formerly Cephalon), Forma, Merck, and MRCT, negotiated the formation of the CRUK – Medimmune antibody therapeutics laboratory and developed CRT’s geographical reach through establishment of CRT Inc. in Boston (USA) and partnership with Cancer Therapeutics Pty in Melbourne, Australia. After completing a PhD at the John Innes Institute and a post-doctoral Fulbright scholarship in the US on the regulation of plant gene expression, Keith spent ten years managing and commercialising agricultural biotechnology programmes before transitioning to healthcare through business development at CRT. Keith has a BSc and PhD in genetics and an MBA from the London Business School. He was formerly a director of KuDOS Pharmaceuticals Ltd, Mission Therapeutics and Cancer Therapeutics Pty and is currently the chairman of Cizzle Biotech and a member of the Cambridge Enterprise Investment Committee. Wesley is VP of Chemistry at STORM Therapeutics and is responsible for all chemistry-related operations. Wesley brings over 20 years’ industrial experience in drug discovery gained in the pharmaceutical and contract research sectors. 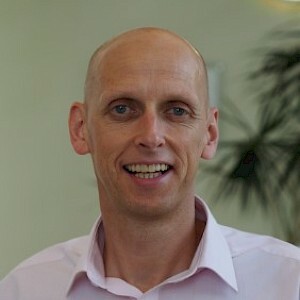 Wesley began his industrial career within process chemistry at Glaxo-Wellcome in Dartford before moving to Merck Sharpe and Dohme (MSD) in 1996. At MSD, Wesley worked on several programmes which reached clinical trials for schizophrenia and anxiety disorders. On leaving MSD in 2006 he joined BioFocus, part of the Galapagos group, advancing in project leadership roles culminating as Senior Director in Medicinal Chemistry, and was responsible for maintaining large multidisciplinary collaborations, overseeing the delivery of multiple drug discovery projects and pre-clinical candidates. Wesley has extensive experience across a wide range of therapeutic areas and drug target classes in lead identification, lead optimisation and candidate nomination. Wesley completed his BSc in Chemistry at the University of Southampton followed by PhD studies under the joint supervision of Prof. Chris McGuigan (University College Cardiff) and Prof. George Attard (University of Southampton). Wesley has co-authored over 40 patent applications and papers. Oliver has overall responsibility for developing STORM’s target discovery platform and for the delivery of small molecule drugs from its emerging drug discovery pipeline. Oliver worked closely with scientific founders Professors Tony Kouzarides and Eric Miska to secure the initial £12m series A investment that launched STORM, and subsequently joined the company full time in October 2016. David has 30 years’ experience in both the academic and industrial research sectors. He has 20 years of experience in the biotechnology and pharmaceutical industry in drug discovery in the UK (GlaxoSmithKline, UCB, Cellzome) and the US (Pfizer), leading groups of up to 150 scientists. Prior to that David has ten years’ academic research experience as Staff Scientist at Imperial Cancer Research Fund and Wellcome Trust, Senior Research Fellow at the University of Oxford, Institute of Molecular Medicine, publishing over 100 papers (nine in Nature) in the field of human immunology and oncology. 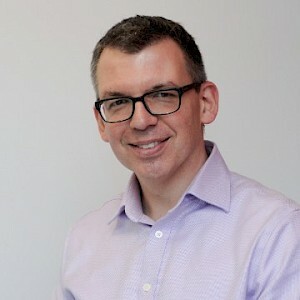 David gained his PhD in Molecular Biology at Edinburgh University, a BA in Biochemistry at Cambridge University and an MBA with the Open University.